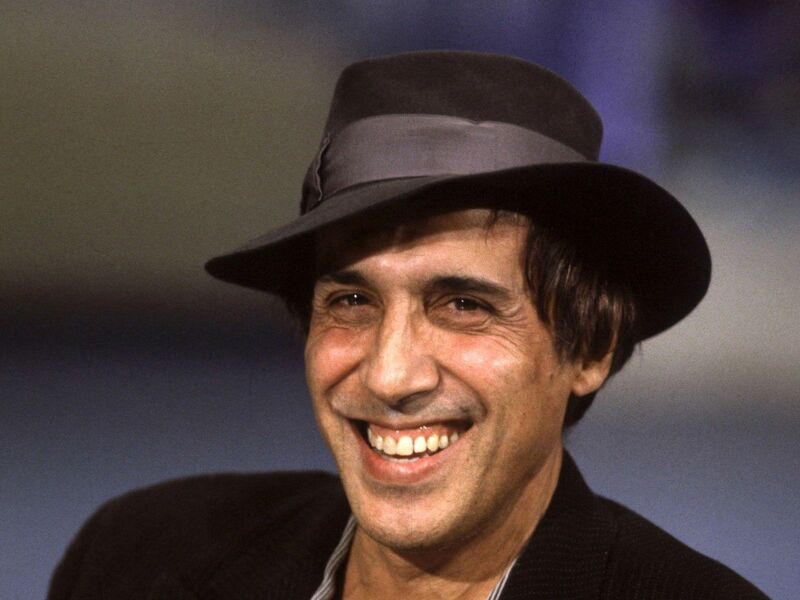 Adriano Celentano wallpapers for your PC, Android Device, Iphone or Tablet PC. 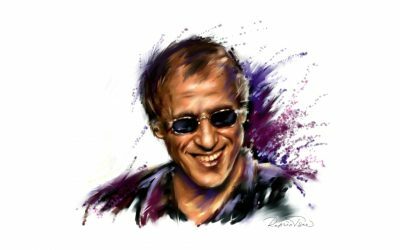 If you want to download Adriano Celentano High Quality wallpapers for your desktop, please download this wallpapers above and click «set as desktop background». You can share this wallpaper in social networks, we will be very grateful to you. 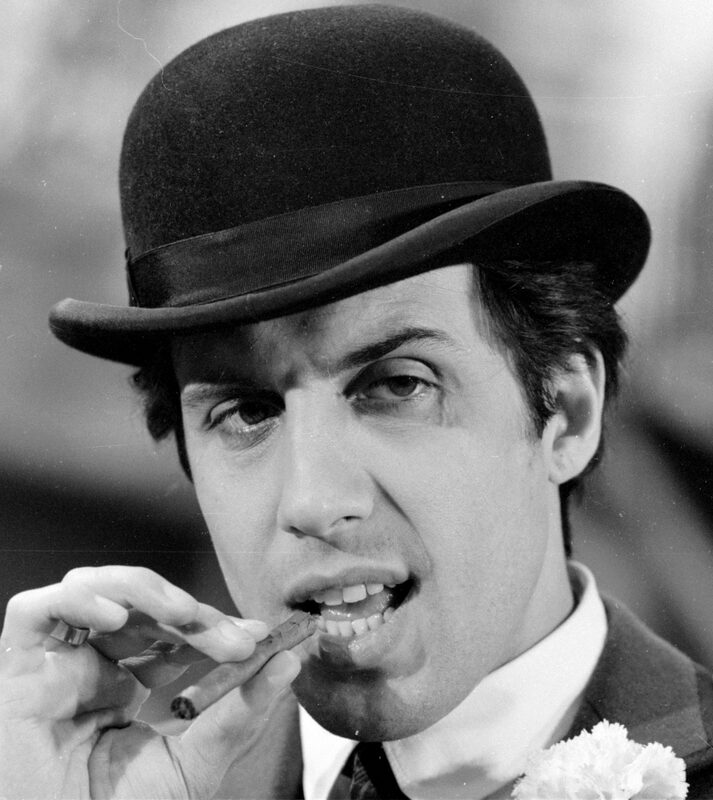 Born on January 6, 1938. Italian singer, composer, actor, director. Born in the north of Milan in the workers’ districts, or rather on the street Gluck, in a family of poor Apulian peasants. They came from the south in search of work and good luck. The family was friendly and very musical. Perhaps Adriano was fond of music less than others – it seemed much more interesting to him, a teenager, to be a watchmaker, which he mastered while working in his uncle’s workshop. Not finished school, from the age of 12 he began working as an apprentice in a watch workshop and, perhaps, would have chosen the watchmaker’s profession, if not for the success that fell to his share in the amateur play-vaudeville, where Adriano won the audience by hilarious parody of the young years of the singer Louis Prima, which was similar in appearance. He began to be invited to amateur contests, and in 1950 he performed his first two hits. This time rock and roll and Celentano like many others began to imitate the masters of this trend, such as Elvis Presley, Jerry Lee Lewis. He sings songs from their repertoire, playing along to his guitar. 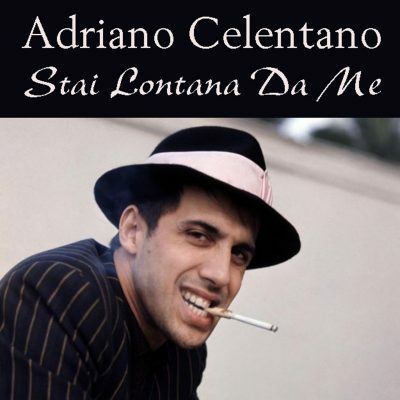 In 1954, Celentano himself composes and performs his songs, and in 1955 his friend Michele del Prete brings him his poems. From this point on they constantly work together. In 1957, on May 18, in the Milan Palace of Sports “Chiaccio” (Ghiaccio), the first general Italian rock and roll competition was held. The song Celentano “I will tell you” chao “became, in the unanimous opinion of all those present, a real decoration of the competition. 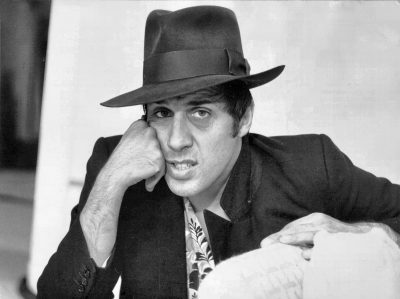 It should be noted, moreover, the natural plasticity of Celentano, which is very important for a rock-and-roll performer. Not for nothing is Adriano nicknamed” Molledzhato ” (Molleggiato) – “all on springs.” At this competition, he becomes the winner. In 1959, he performs the song “Rebel”, which became famous and gave its name to the accompanying ensemble. 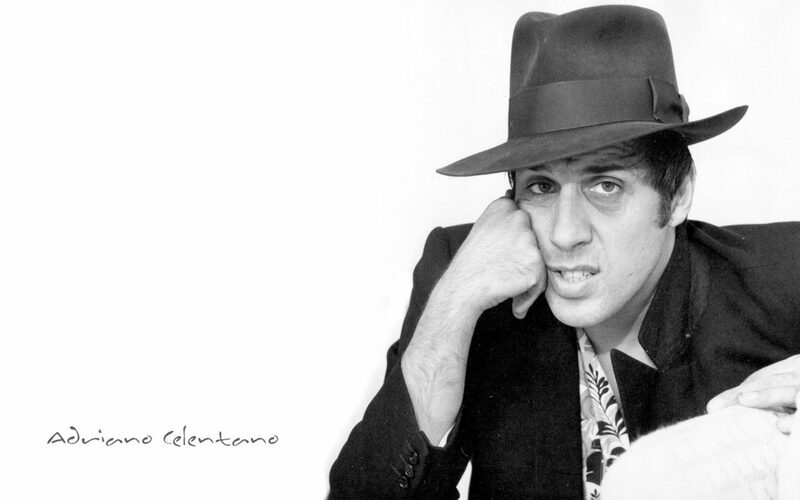 From now on, Celentano is recognized as the “rock and roll” of Italy. After that, Adriano signs a contract with the German recording company “Jolly”. December 19, 1961 after another success at the festival in San Ramos (second prize for the song “Twenty-four thousand kisses”), he organizes his own record company – “Clan Celentano”, gathering around him musicians – friends of his youth. Now this company includes a publishing house, a concert agency, a video and audio recording studio. More than 150 people work in it, and singer Alessandro’s brother runs the business. “Clan” united friends, like-minded singer. 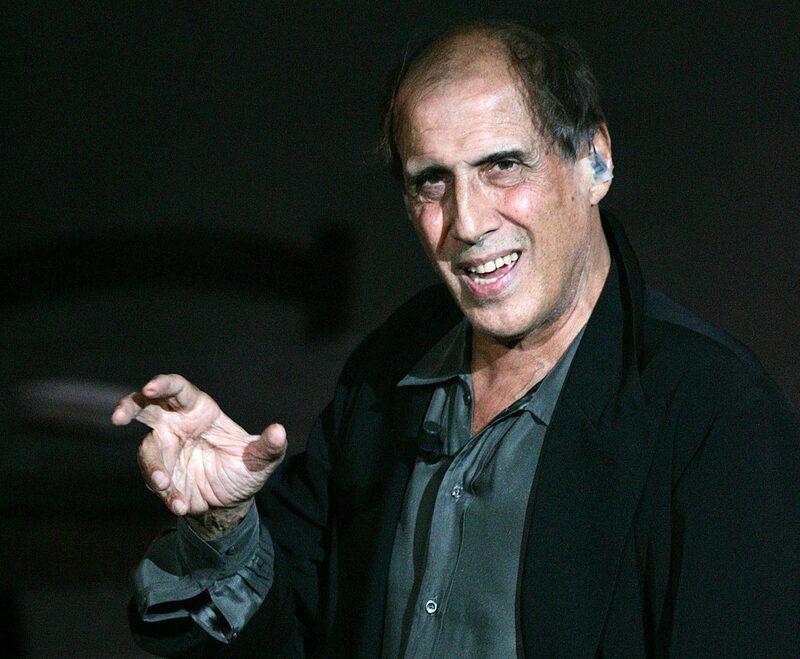 After his victory in 1962 at the famous “Canzonissimo” contest where Celentano presented his song “You are far from me”, he goes on a tour in France (successful performances in the famous Parisian music hall “Olympia”) and in Spain, where he gets the opportunity to speak on television with a series of their own shows. 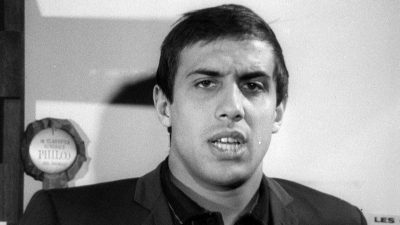 In 1963, Celentano was shot in the film “Some Strange Type” with his future wife, the famous actress Claudia Mori, the real name Claudia Moroni. In 1964, July 14, Adriano Celentano and Claudia Mori get married in the church of Sts. Francis in Grosseto. 1966 was the turning point in the work of Celentano. 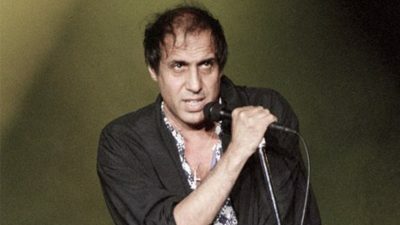 This year, he arrives in San Remo with an autobiographical song about the fate of a simple Milan guy – “The guy from Gluk street.” This song was translated into twenty-two languages, more than four months led the Italian charts – the first sharp socio-political song and the first song Celentano, which went around the whole world. 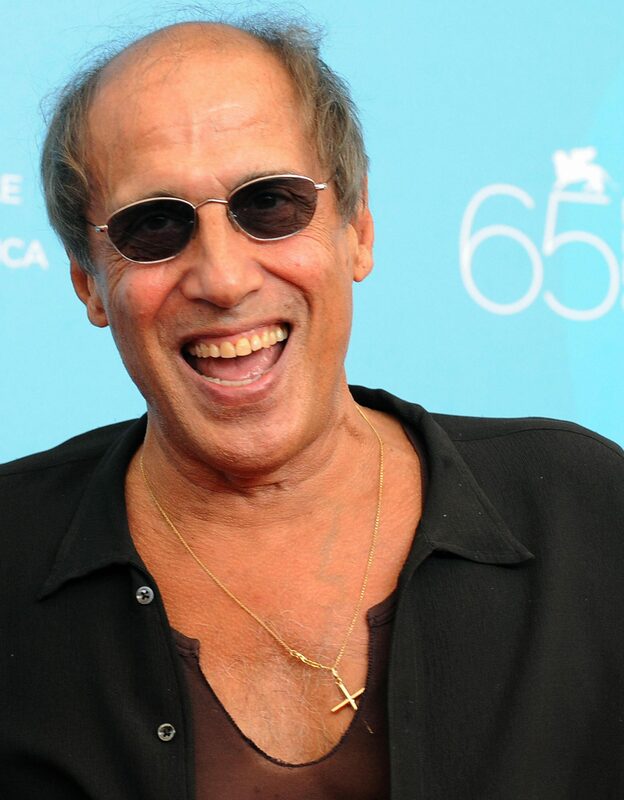 In the late 60s, the song “Twenty-four thousand kisses” is recognized as one of the best Italian songs of the decade. 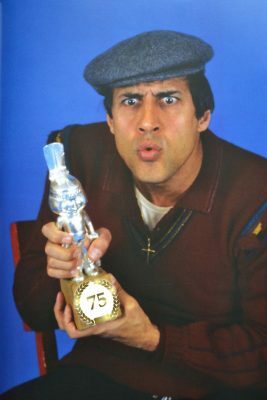 In 1970, at the next festival in San Remo, A. Celentano along with C. Mori won the main prize with the song “Who does not work, he does not like.” Over the years, his songs become more serious. 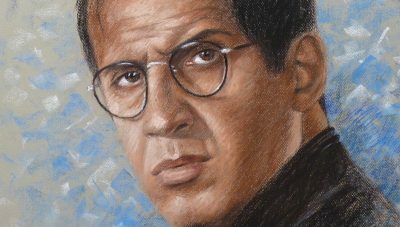 “The artist’s highest duty is to protest against injustice,” says Celentano. 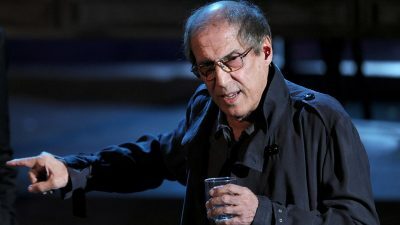 For more than forty years of his creative activity, Celentano has released more than 30 albums with a total circulation of 70 million. 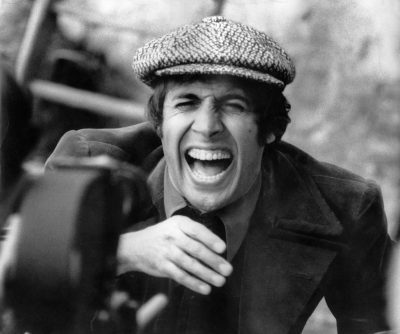 In addition to musical activities, Celentano deals with cinema. 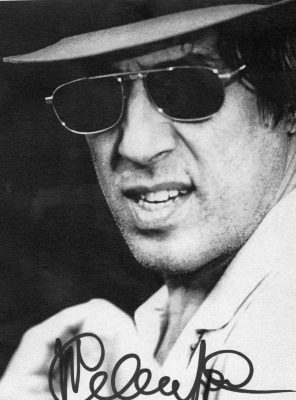 In the 70s, he often acted in films and makes films himself. He starred in four dozen films, and he began in 1959 with episodic roles of rock singers. Of the famous films, this is Federico Fellini’s Sweet Life (1960). In these films he plays himself – a fashionable singer, a rising star of a youth song. And of course he sings in his films. Over time, the roles become the main, and the films are not related to music. 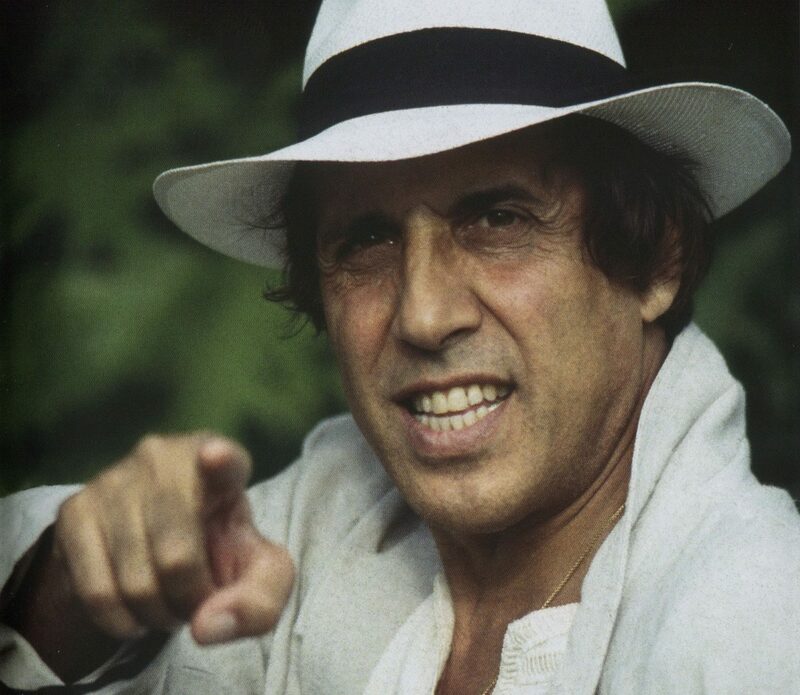 “The image he creates is akin to the characters of the national comedy – he is simple-minded and sly, naive and wise at the same time,” the famous director Pietro Germi said about Adriano. “In his work on the screen, he continues to develop the character of the hero of his songs, and the main one is in their nationality. He is working so confidently on the set, trying so hard to penetrate into all aspects of filmmaking that it seems to me that he himself will soon become a director. “And so it happened. In the 70s and early 80s, he constantly shoots and acts in films. 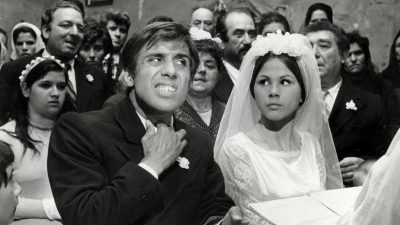 “The Taming of the Shrew” collected at the box office an astronomical amount – 19 billion lire, coming in second place in general box office and in first place among Italian films. 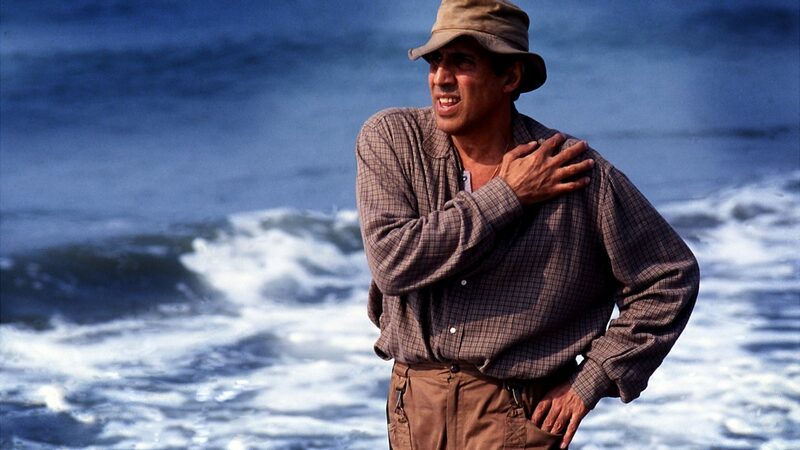 In the late 80s, the popularity of Celentano began to subside. In order to somehow return to former glory, he started his own show on one of the leading Italian TV channels. In 1987, Adriano went on the air with an evening program called Fantastico. 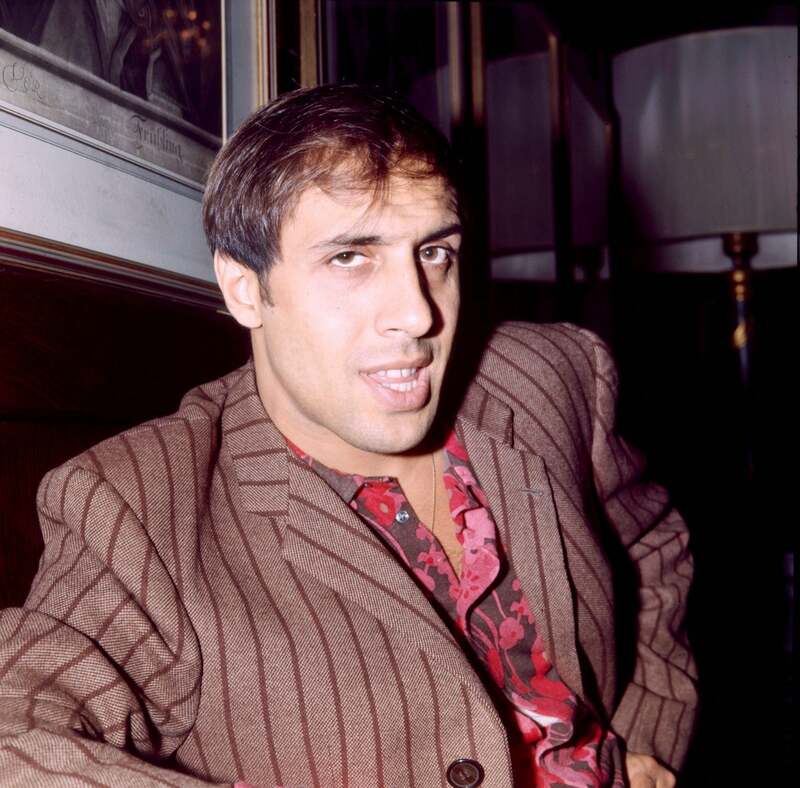 The start was successful, so Celentano every Saturday for a long time took the celebrities of Italy and neighboring countries. The show was closed only because Celentano became interested in a new project – since 1999, together with actress Francesca Neri, he started a musical show program (Francamente me ne infischio). In 1987, having overcome the fear of flying, A. Celentano along with K. Mori still arrives in the Soviet Union, in particular Moscow, where he gives two concerts in the Olimpiisky Sports Complex. These were his first concerts after an eight-year hiatus. Here he presents his film “Joan Lui: once on Monday I will come to this land” – “Joan Lui”. Now Celentano lives 100 km from Milan, retiring in his villa with his wife, Claudia Mori, engaged in repairing watches. He has three children: Rosita, Giacomo and Rosalind. In 2001, he again appeared on television with the new show “125 Million Nonsense,” which turned out to be short-lived and scandalous. A year later, the singer offers the channel Rai a new project – the show “Rock Politics” (“Rockpolitik”) – and from the very first episodes, Silvio Berlusconi will incur the wrath of himself. The satirical “letter to the Prime Minister” brought the head of government out of himself, but this was what Celentano wanted – he admitted that he had never loved politicians. “I am against politics. Any policy. Without exception,” he said in an interview with the newspaper La Repubblica. After four issues, “Rockpolitics” ceased to exist.